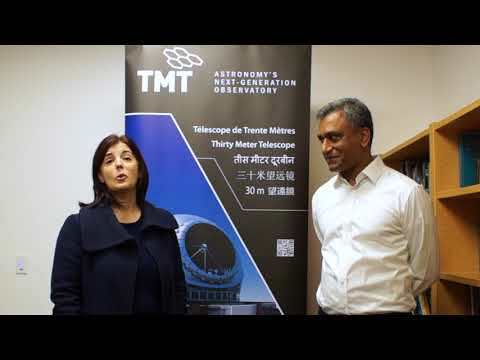 Observer status is the first step in becoming a full partner in TMT and participating in the engineering development and scientific use of what will be the world’s most advanced and capable astronomical observatory. The TMT project plans to begin work on-site late next year and achieve first light in 2018, at which time it will be the first of the next generation of ground-based optical observatories. This revolutionary telescope will integrate the latest innovations in precision control, segmented mirror design, and adaptive optics to correct for the blurring effect of Earth's atmosphere. Building on the success of the twin Keck telescopes, the core technology of TMT will be a 30-meter segmented primary mirror. This will give TMT nine times the collecting area of today's largest optical telescopes and three times sharper images.